Your favorite classic movie starlet on a travel mug! The Marilyn Monroe Wonderful 16 oz. 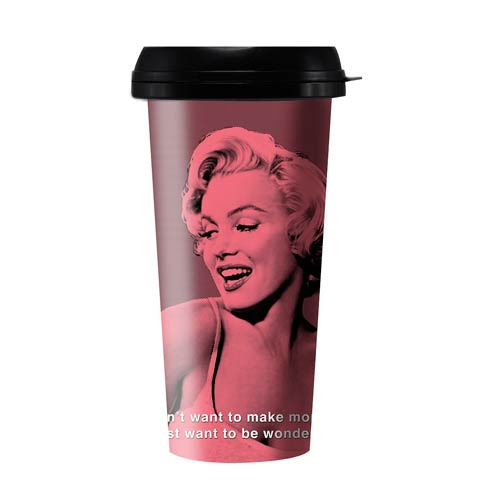 Travel Mug features a red image of the beautiful actress and the quote, "I don't want to make money. I just want to be wonderful." This mug holds 16 ounces of liquid. Hand wash only. Not dishwasher safe. Do not microwave.